Year in Year out and we are already climbing up the first steps of 2014 … Never too late to Wish WordPress and its bloggers a Happy and Prosperous New Year !!! 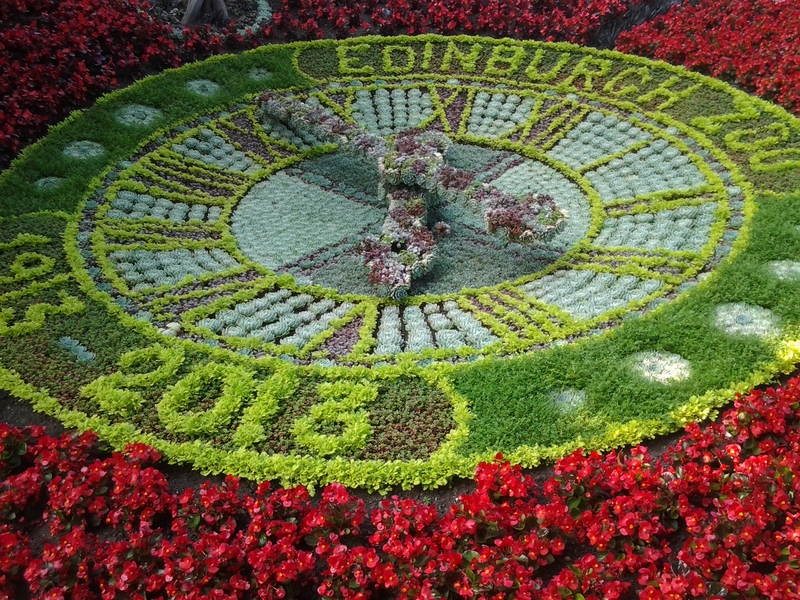 The Edinburg working floral clock,since 1903, is the oldest in the world and it is made with thousands of varieties of beautiful flowers and especially designed each year to commemorate a special occasion. 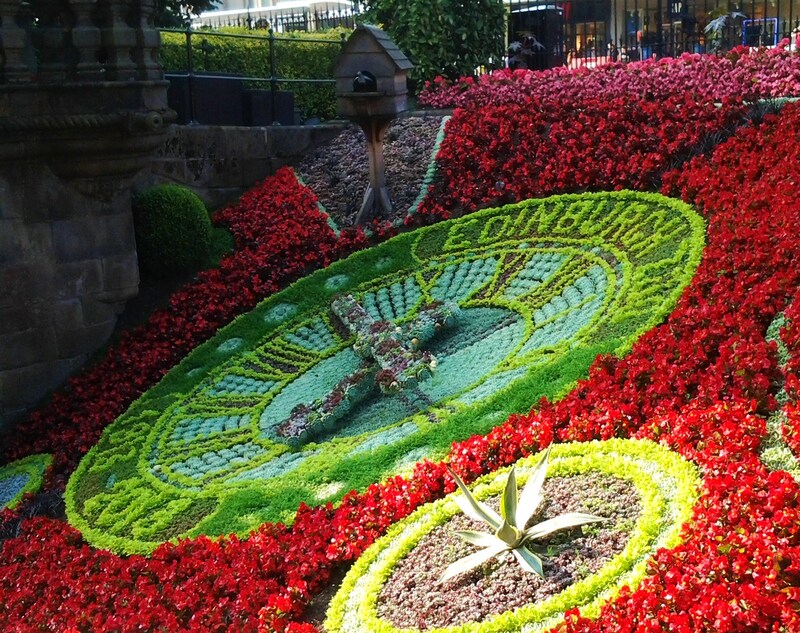 The first 1903 clock had only an hour hand and began to operate on the 10th of June (1903).However,from 1904 onwards,the clock had both an hour hand and a minute hand.Until 1972, the Edinburgh floral clock operated mechanically. It needed to be wound daily. In 1973 it was converted to become electrically driven. Until around 1927 there were no words included in the designs.The first words written afterwards were : “Tempus Fugit ” ( Latin for Time Flies ). Thank you dear Cindy ! Glad you appreciated it ! Once again, thank you for pictures of my beautiful Edinburgh. And thanks too for following my blog. How nice Su ! It is as if these posts were meant for you,my friend;as for the follow,it gives me great pleasure to read your posts. Thank you again for all your likes and comments ! Thank U !!! The same to you !!! 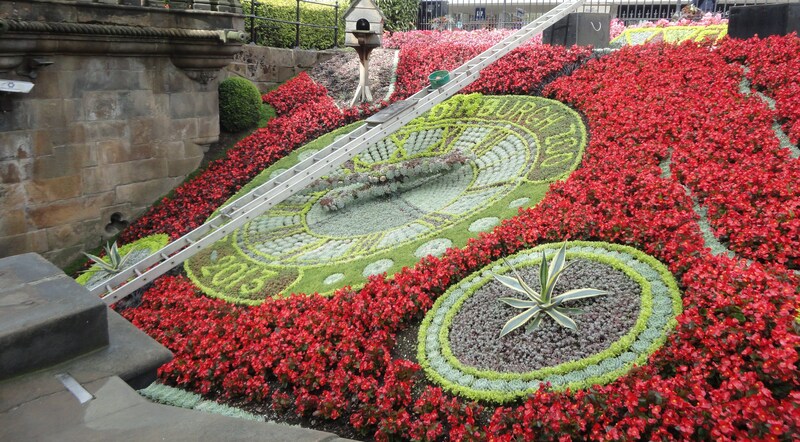 This is such a glorious floral clock. Thank you for providing the history, Doda! Your ” Reality ” post was very thought-provoking.Besides,the suggested link was interesting ! Have a brilliant and creative day !! !